SAGE Automation has increased production of its smart container deposit machines following the successful uptake of Queensland's Containers for Change scheme, launched in November 2018. The Australian recycling industry has jointly responded to footage aired on current affairs program 60 Minutes, arguing that the program did not accurately convey the achievements of the industry. The Victorian Environment Protection Authority has pledged $5.5 million for a new system to electronically track industrial waste. City of Melbourne councillors will consider the Waste and Resource Recovery Strategy 2030, which proposes a domestic food waste collection service and more shared waste hubs for businesses. The Waste Management and Resource Recovery Association of Australia has opened design submissions for the label, calling on 'one and all' to get involved. A new independent think tank — Ewaste Watch — is launching in Australia to tackle the nation's accumulating e-waste. Close the Loop's Peter Tamblyn has been announced as Chairman of the Australian Council of Recycling, with the appointment set to boost discussion on the circular economy. CO2CRC has been awarded funding to conduct important research into reducing greenhouse gas emissions in steel production. Emerson presents the Rosemount CT4400 Continuous Gas Analyzer, a purpose-built quantum cascade laser and tunable diode laser analyser. New research highlights a staggering 94% of Australians are making recycling mistakes despite 60% being extremely confident in their recycling habits. Germany's largest approved site for post-consumer package recovery is in operation following the new German Packaging Act, VerpackG. Crushed glass sand and recycled plastic strips have been used in a footpath construction project in the Hunter region, trialling environmentally sustainable materials. Construction of two shallow observation wells has been successfully completed as part of a new carbon capture and storage project. ACOR and national recycling campaign group Boomerang Alliance have released five priority actions for the next federal government to implement. Waste Management and Resource Recovery (WMRR) is urging all NSW parties to commit to six key priorities in the NSW election on 23 March. What's amiss with drinking treated sewage? 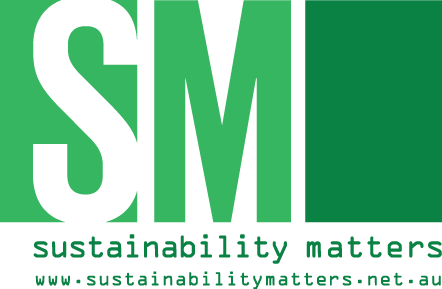 Our Sustainability Matters magazine and website provide busy environmental and sustainability-focused professionals with an easy-to-use, readily available source of information that is crucial to gaining valuable industry insight. Members have access to thousands of informative items across a range of media channels.